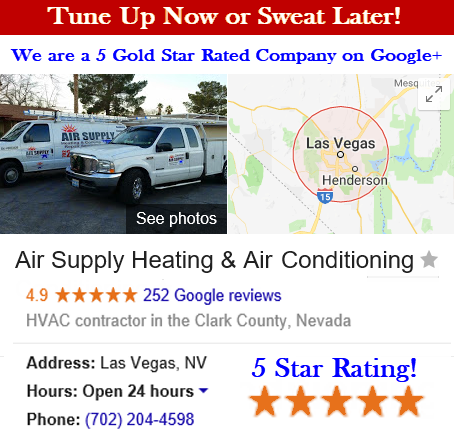 Air Supply Heating and Air Conditioning of Las Vegas, Nevada is a full service HVAC system contractor. We are completely licensed, certified, and insured to offer professional services and affordable rates. 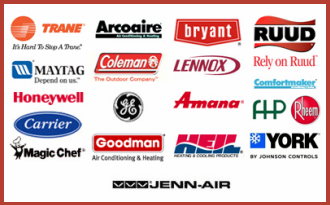 Our techs are trained, experienced, and skilled and are eager to service your HVAC system. Catering to commercial businesses in the Las Vegas, Nevada Valley, we have compiled a list of frequently asked questions regarding commercial HVAC systems. 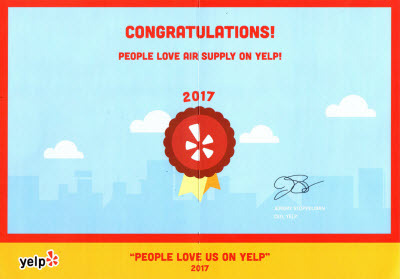 If you do not see your question posted today, contact Air Supply Heating and Air Conditioning and we will happily answer any questions for you. Q: How does the HVAC system move air throughout the commercial building? A: Air is drawn in by fans through grilles which forces air through ducts and into the conditioned space through supply registers. Q: How are ducts made and installed? A: The majority of ducts are designed out of metal and installed by tradesmen called sheet metal workers. However, cloth and fiberglass are sometimes utilized. Q: Which of these materials is the most optimal choice for commercial buildings? A: Each material has features that are ideal in its use in specialized applications. Sheet metal has a number of benefits: It is made from recycled materials, it is non-combustible, it is the sturdiest material, and it is the easiest to clean. It continues to be the most widely used materials for constructing air ducts. Q: What are some of the issues and maintenance business owners should know about duct work? A: Air ducts can leak if not properly installed, wasting considerable amount of dollars of treated air that you already paid to have cooled or heated. Air ducts can easily become filthy, especially in the commercial setting and right after construction and during renovation. Getting your air ducts cleaned is essential. Q: How do I reduce duct leakage? A: If you are building a new structure, make sure the HVAC system designer is specifying SMACNA’s prescriptive duct sealing standards. If your building is older, contact Air Supply Heating and Air Conditioning and allow our specialists to perform an evaluation audit on your air ducts. 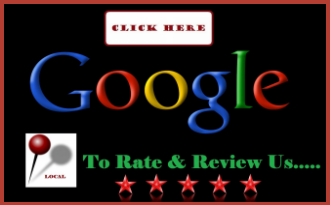 Q: Who can I contact to evaluate, adjust, or simply evaluate the condition of my ducts? A: Air Supply Heating and Air Conditioning can ensure your air ducts are 100% efficient in every capacity. Q: Why is my HVAC system noisy in certain areas? A: The air ducts need to be carefully designed as the system’s ductwork can act as large speaker conductor and transmit noise throughout the building. But the direction of airflow has little effect on the sound transmission. Adequate noise control in a duct system can be achieved if the designer understands basic noise control principles. However if the building is established, it’s too late for a design change. To minimize the noise, you’ll need a technician, with a high level of training, to troubleshoot your complaint. Q: How can I make my HVAC system positively affect my energy bills? –	The HVAC system; typically the most important for commercial buildings. –	The building’s overall thermal envelope. –	Large loads, computers, and lights in commercial buildings and industrial processes in industrial-type buildings. Q: What kind of preventive maintenance is recommended? A: There are different maintenance steps we at Air Supply Heating and Air Conditioning depending on the various components do depending on what the dynamics are of the individual commercial HVAC system entails. If your commercial business in the Greater Las Vegas, Nevada area is in need of HVAC services, contact Air Supply Heating and Air Conditioning and let us do the rest.